I’ll admit it – I’m afraid of bugs. No matter if they’re slimy, crawly, or slightly furry, I’m terrified of them all. 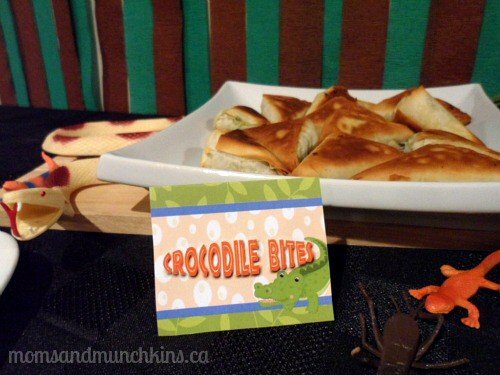 I was starting to get a little itchy when planning these swamp party ideas but it was still a lot of fun to put together. 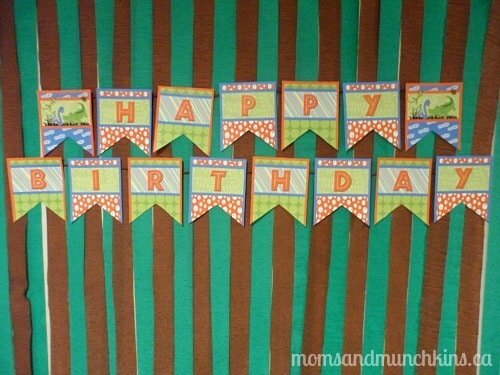 All of the printables used in this party are courtesy of Just a Little Sparkle. 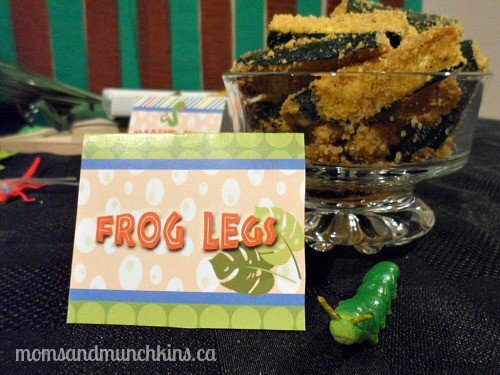 Here you’ll find fun ideas for invitations, decorations, food, games, treat bags and more. For more fun ideas, visit our special Swamp category. 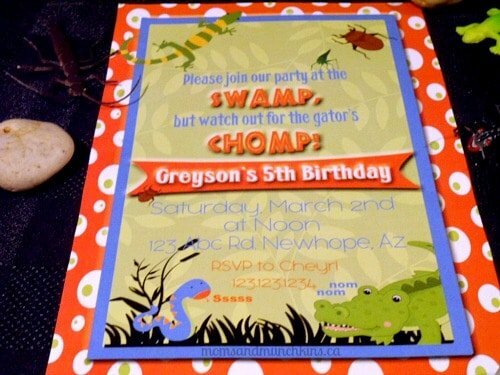 Party invitations for a swamp party can include a variety of bugs and swamp creatures like snakes, alligators and frogs. This invitation from Just a Little Sparkle includes all of these slimy swamp creatures. 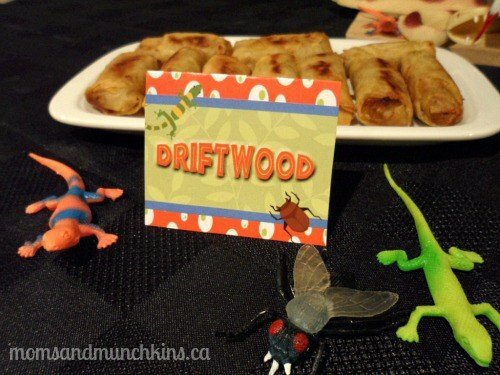 A fun idea would be to include a plastic bug inside the envelope with the party invitation. Your local dollar store is a great place to go for decorations for a swamp party. 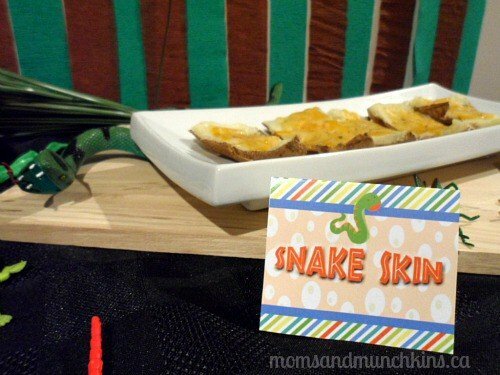 There are so many inexpensive ways that you can make this party seem slimy and outdoorsy. Whether you want something active or something quiet, there are plenty of fun swamp party activity ideas to choose from. Make Slime: Following these instructions from Science Bob, your little guests can make their own swamp slime. Crocodile Tag: Lay out strips of brown and green steamer paper over the ground and assign one child as the “crocodile” (you can even use a fun hat for the person assigned as “it”). The crocodile plays tag and tries to capture as many party guests as possible. If a party guest steps on a piece of steamer paper, they have to stand frozen in one spot for 5 seconds. Gulping Gators: Using balloons and 2 laundry baskets, have the kids try to grab as many balloons as they can and place them in their laundry basket before time runs out. It’s kind of like a life-sized version of Hungry Hippos. Swamp Creatures: Using brown and green streamer paper, plastic leaves, sticks and other supplies from your local dollar store, assign kids into teams and have them dress one of their team members up as a swamp creature. Cupcakes are always a popular dessert option at parties because you can include a variety of different flavors. Cupcakes could be iced brown and green or could include green icing in the middle of the cupcake. 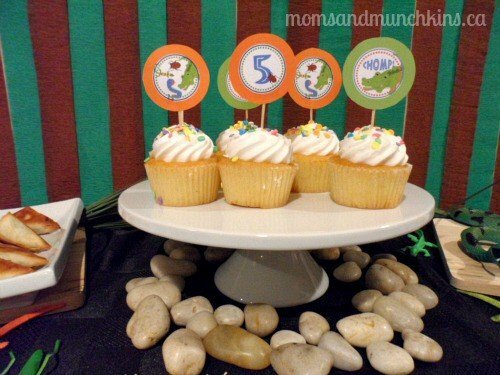 Topped with cute swamp-themed cupcake toppers, the cupcakes will fit perfectly into the party theme. 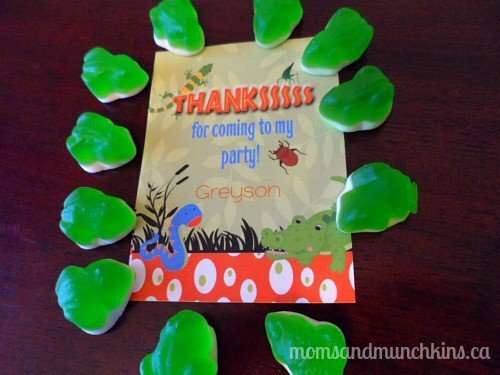 These cute favor tags from Just a Little Sparkle would be perfect with gummy creatures like snakes and frogs. The great thing about candy favors is that you know they’ll get eaten and won’t go to waste. 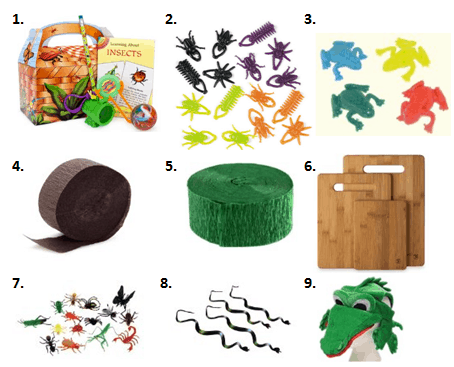 Some other fun ideas include slimy bug toys, plastic snakes and bug finding kits. 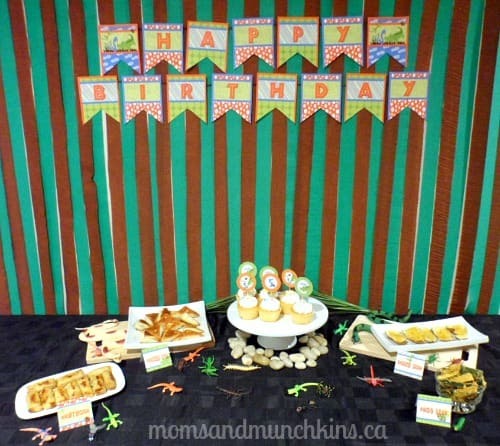 For more fun birthday party theme ideas, be sure to check out our Birthday Parties page. *Disclosure: Just a Little Sparkle provided the printables free of charge for my use. I am an affiliate for Amazon and Birthday in a Box. All opinions expressed here are my own.